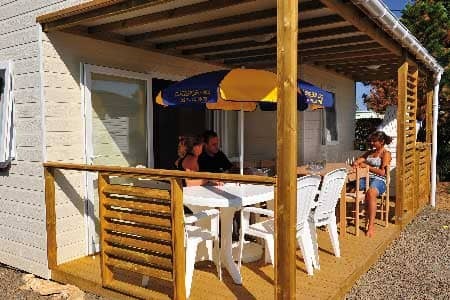 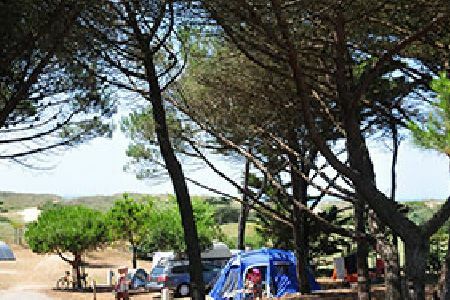 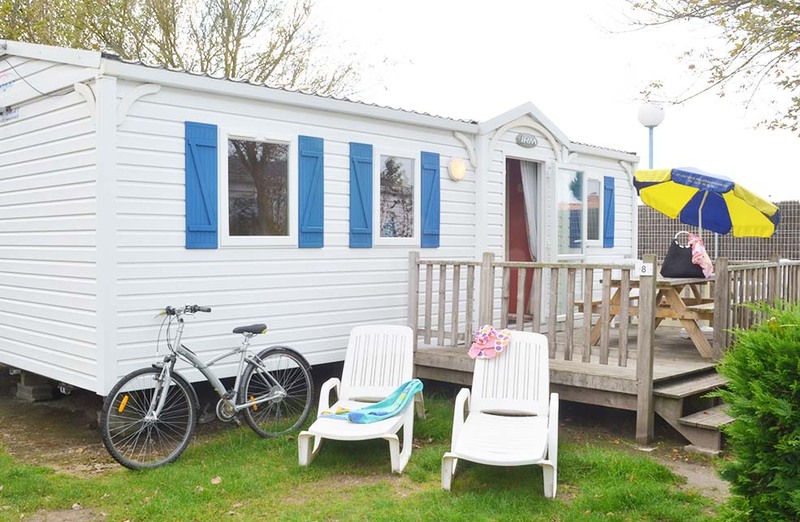 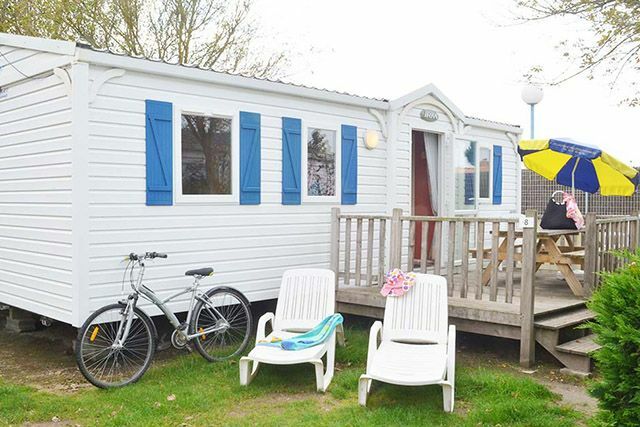 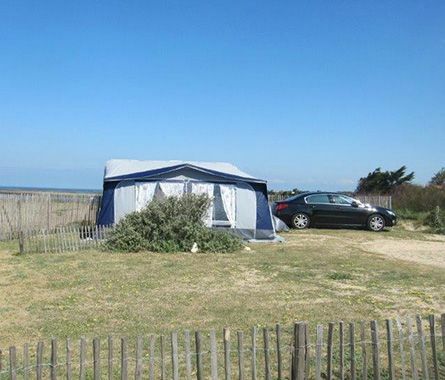 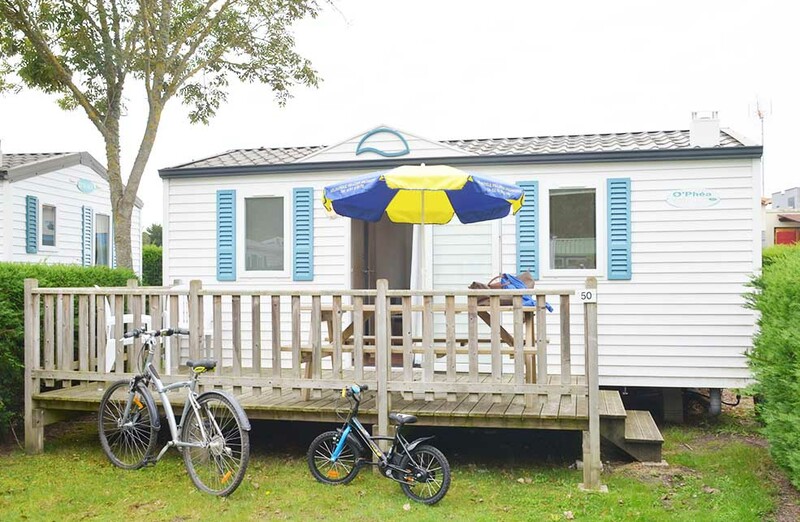 Book your camping holiday in France with Atlantic Pellerin Vacances and choose one of our APV campsites on the Atlantic, the Mediterranean, Corsica or Spain : you will surely find an accomodation that matches you, depending on what level of comfort and/or your holiday budget you seek. 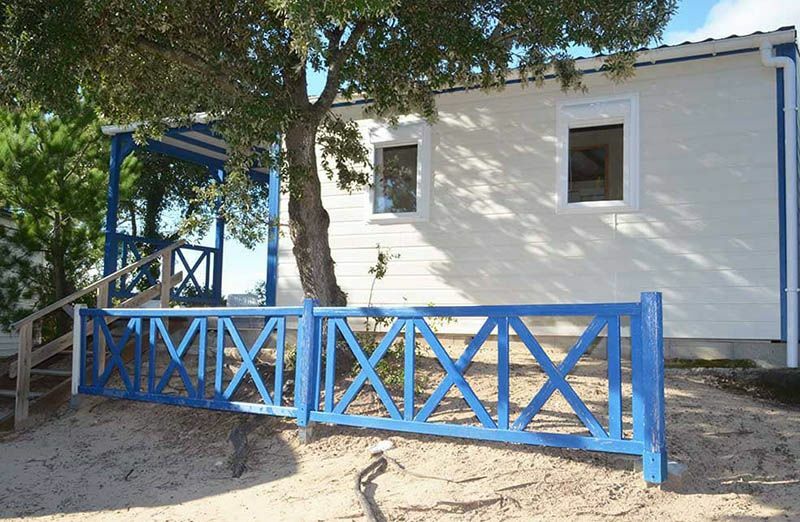 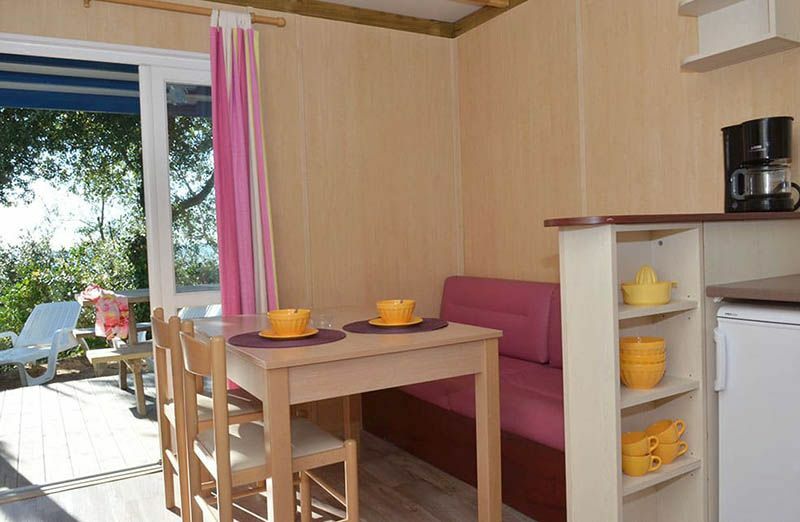 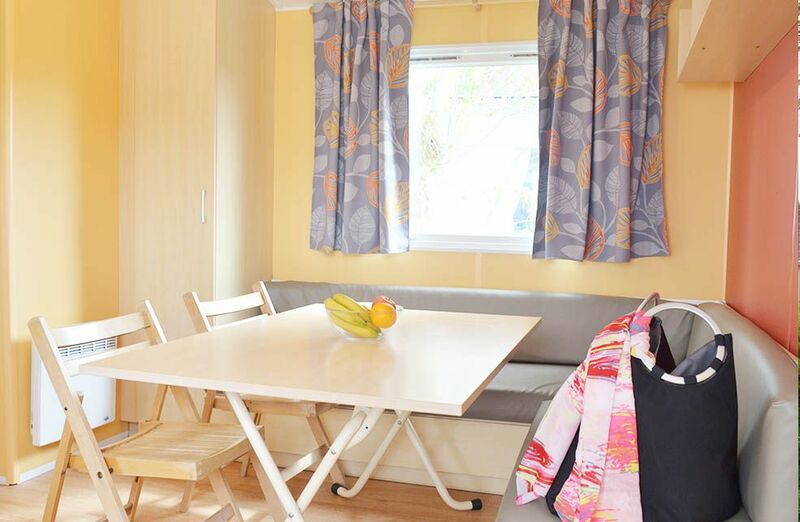 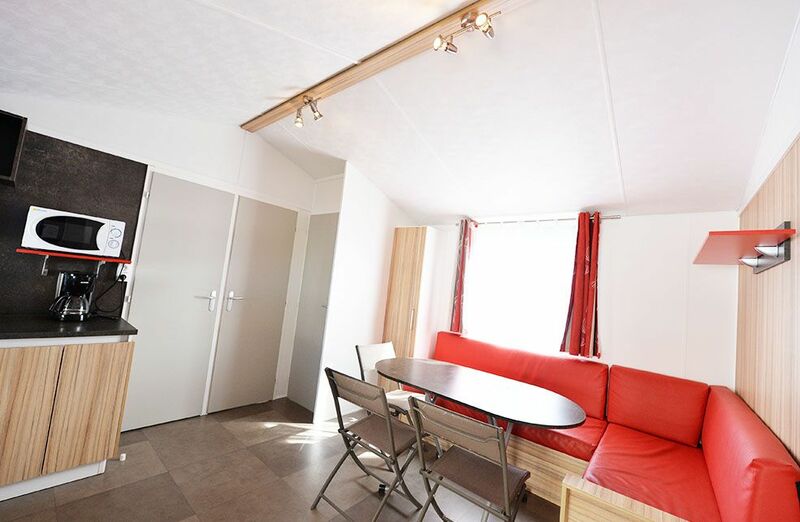 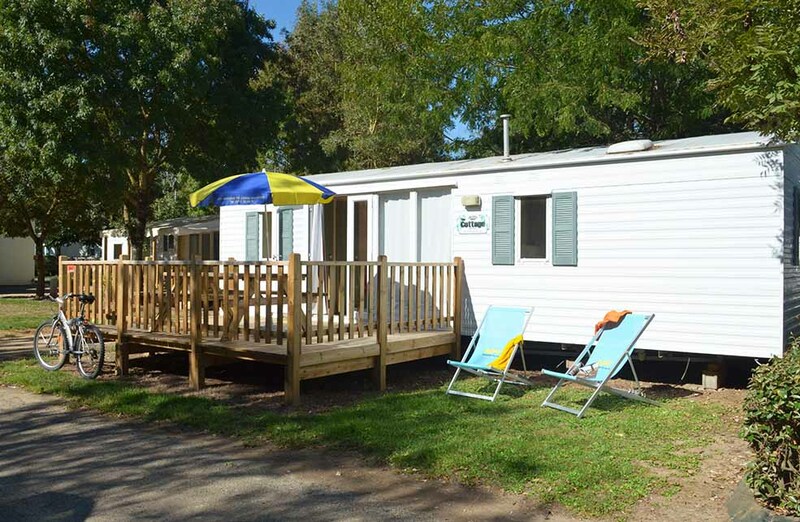 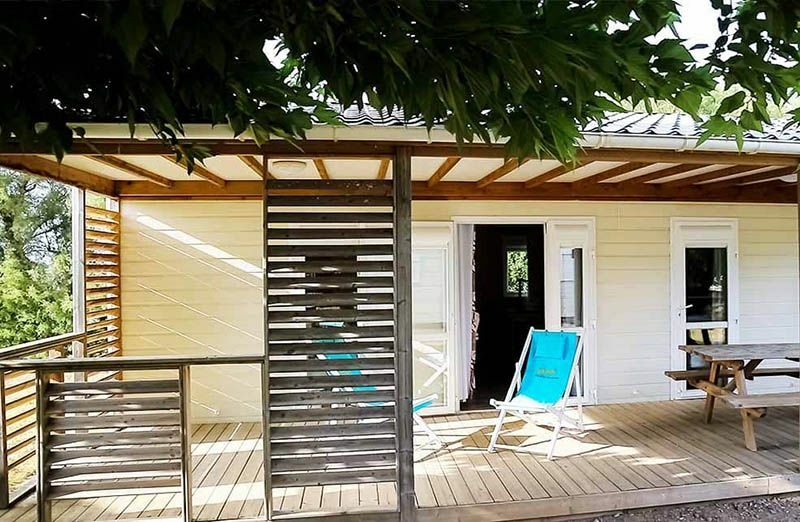 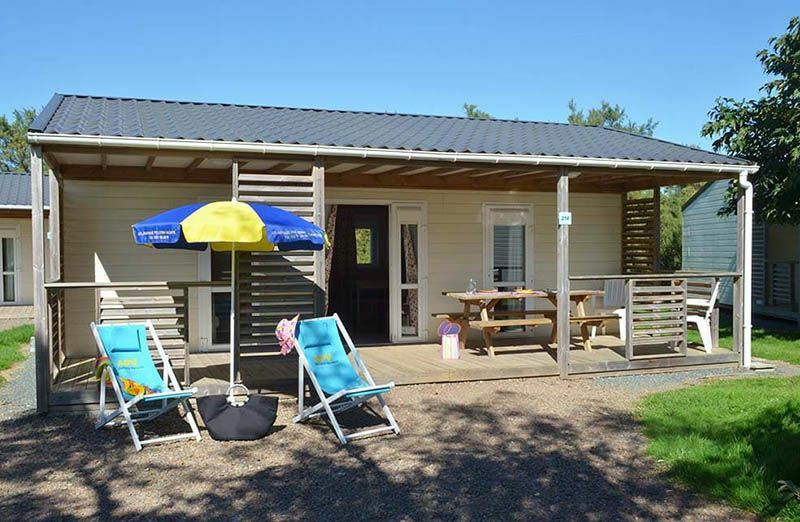 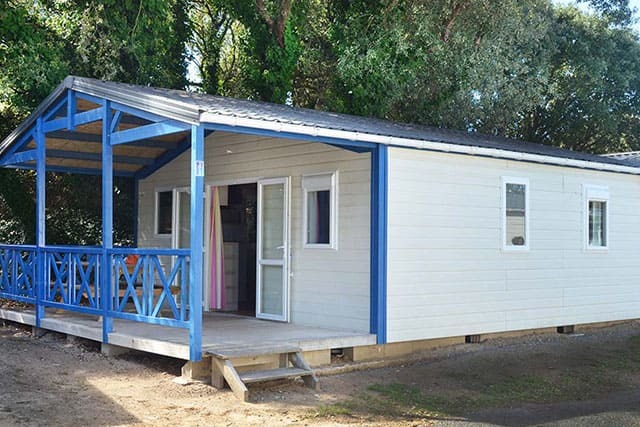 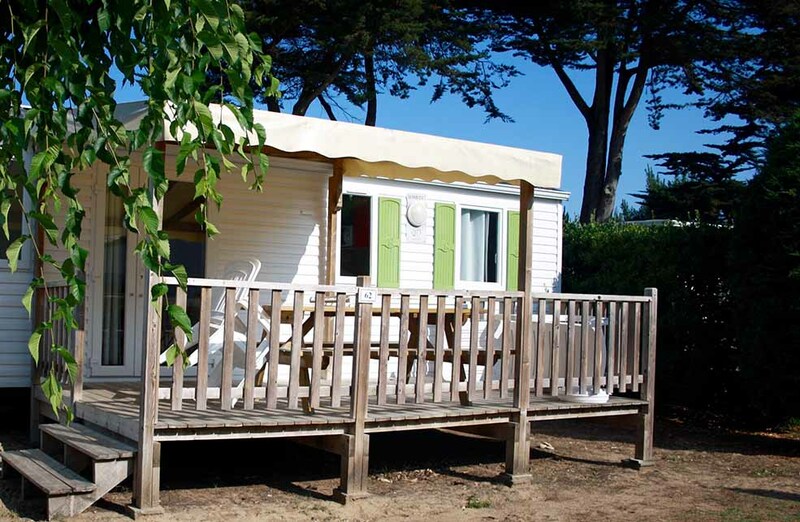 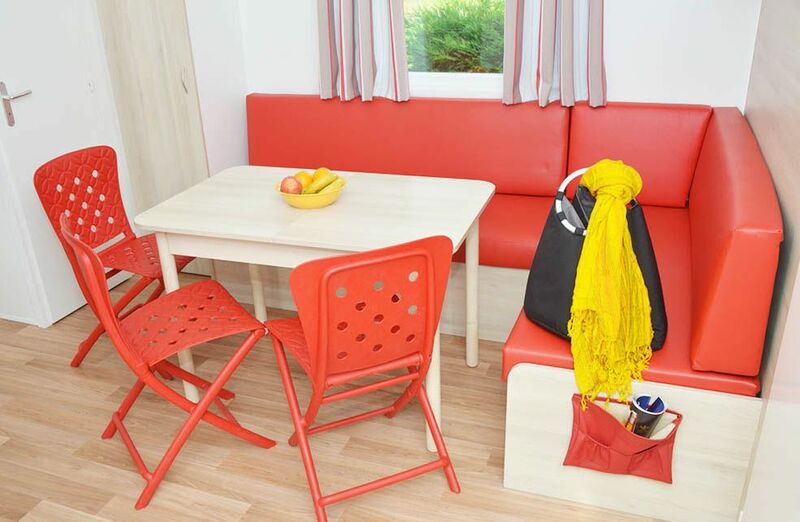 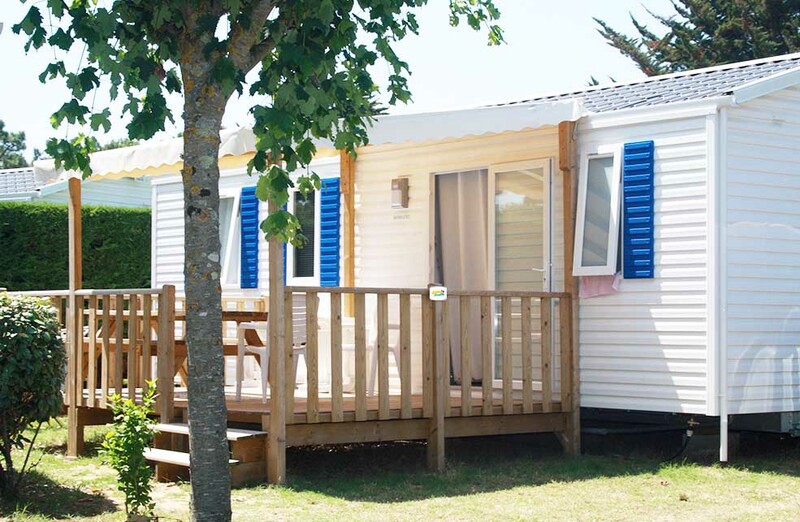 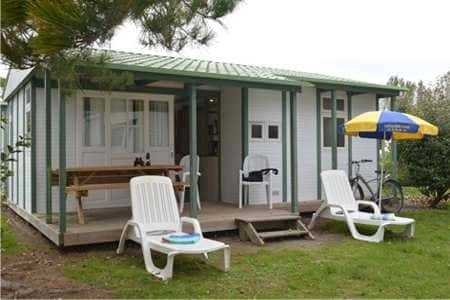 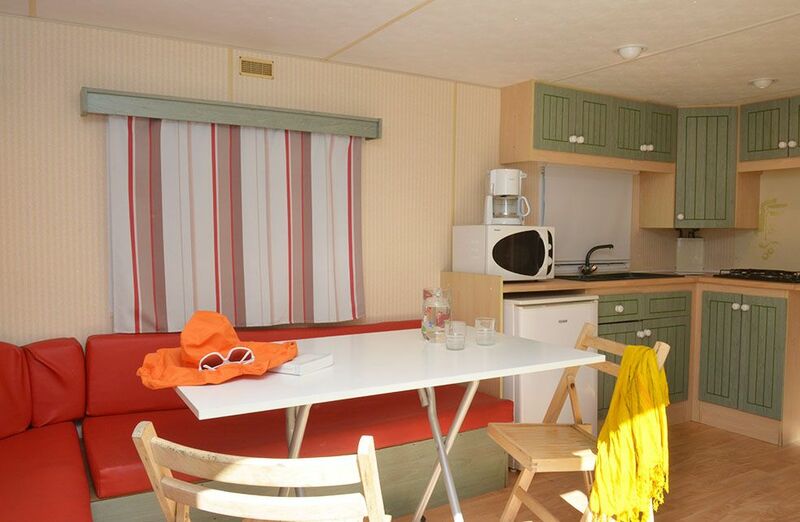 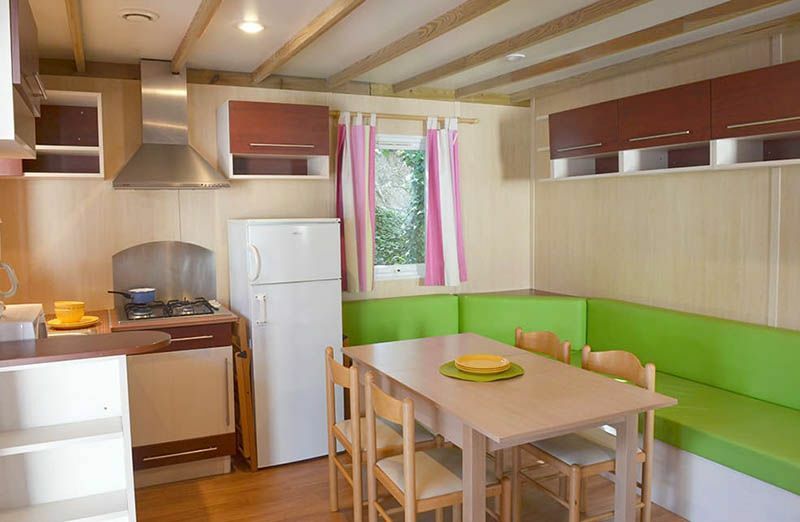 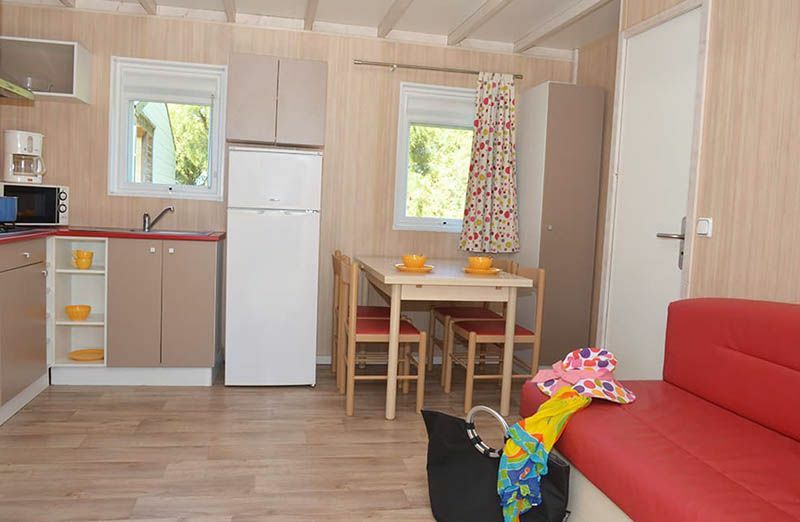 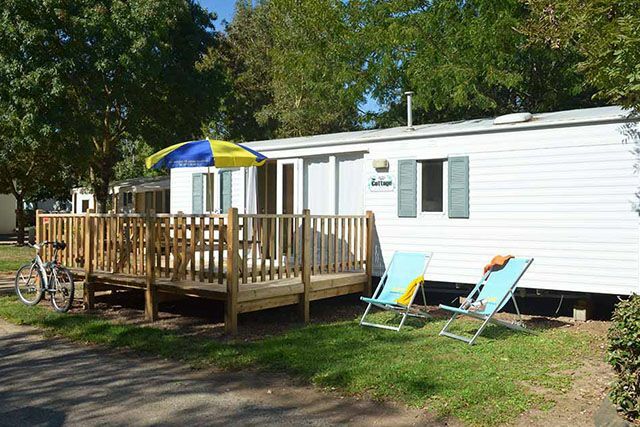 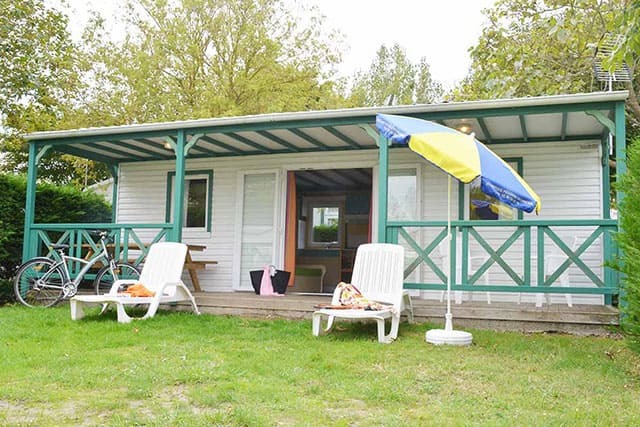 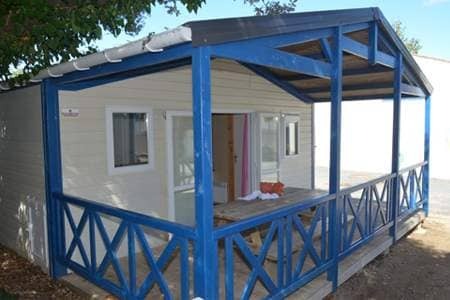 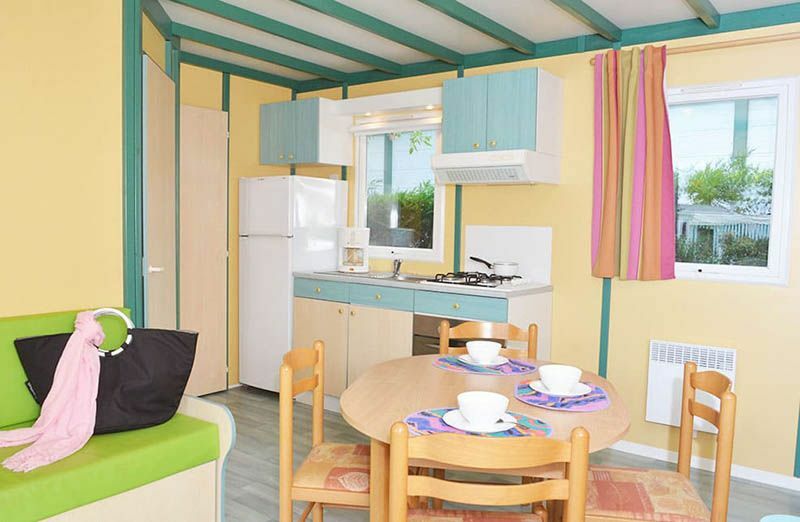 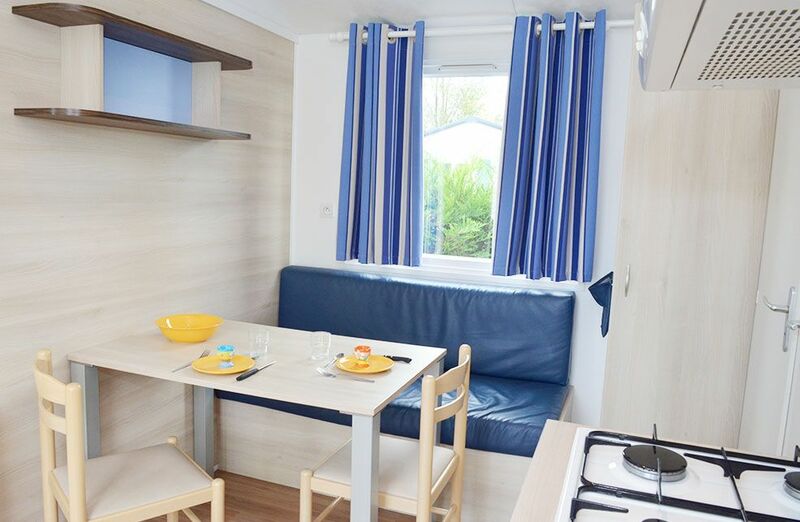 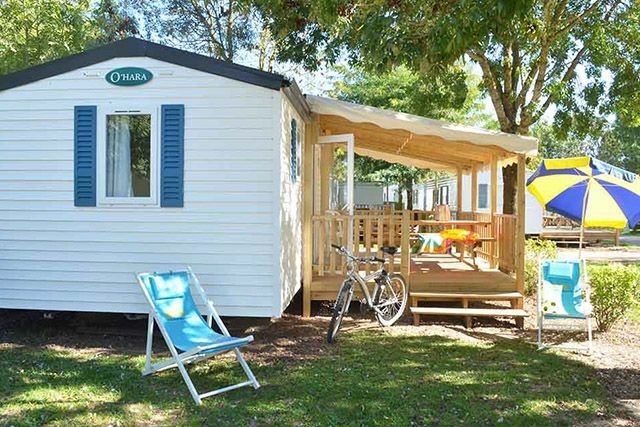 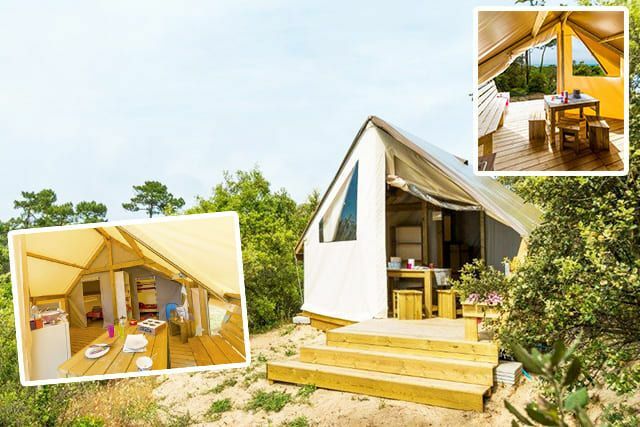 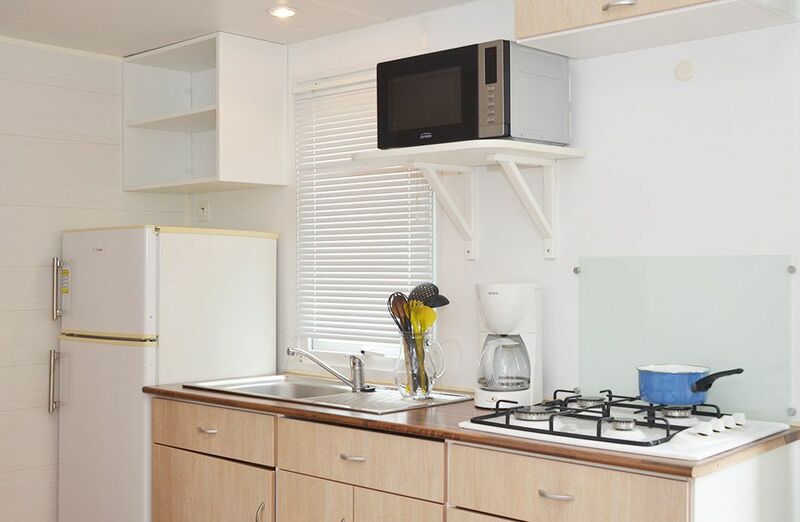 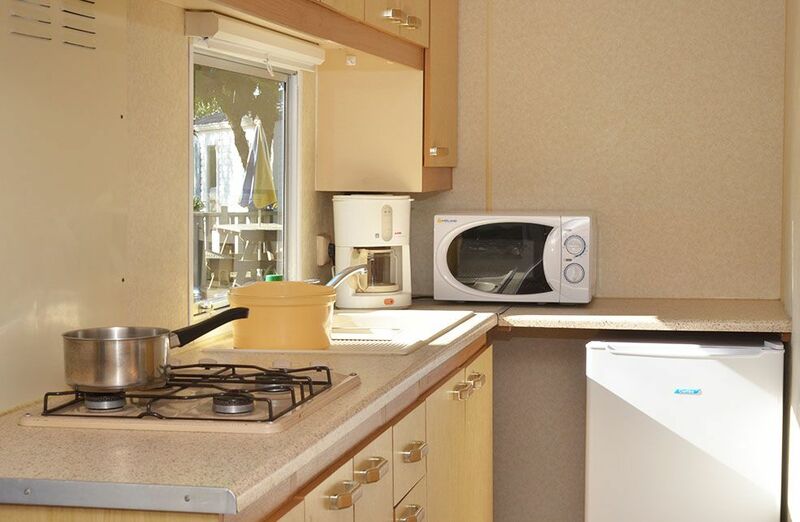 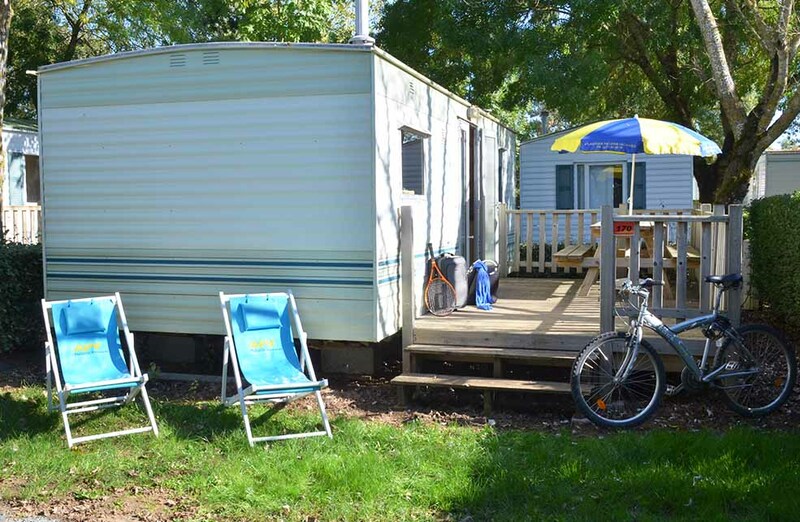 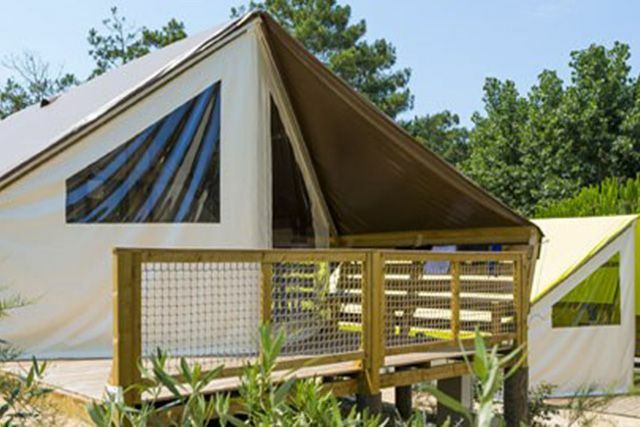 - GRAND CONFORT range : tents lodges under 3 years or mobile homes or chalets from 0 to 7 years, equipped with a covered wooden deck and television, mostly air-conditioned on our Mediterranean and Corsican campsites. 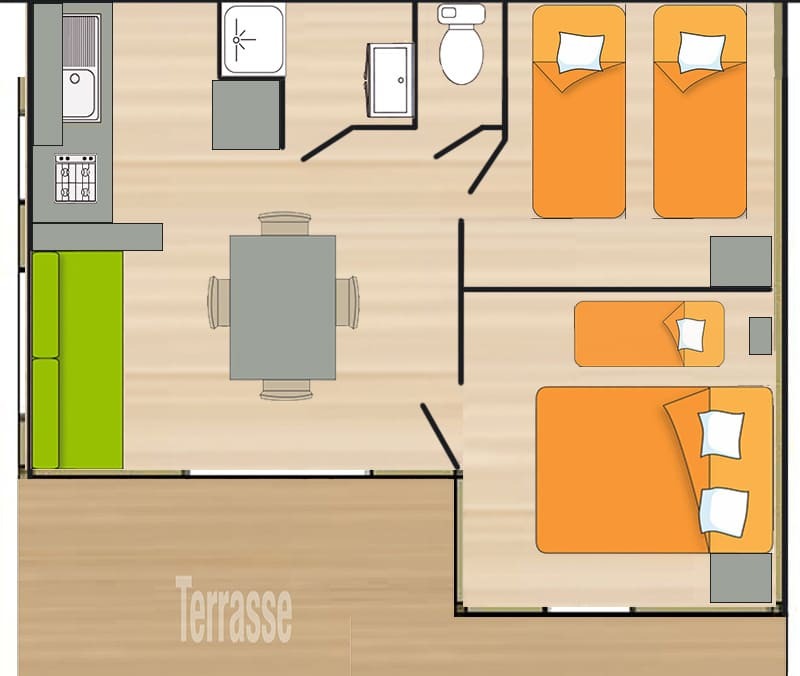 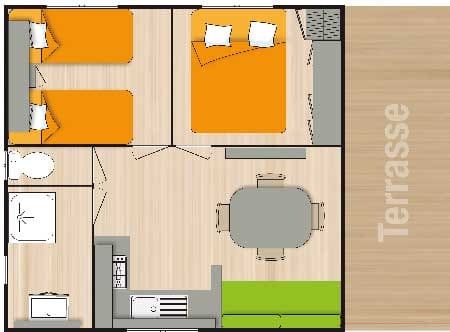 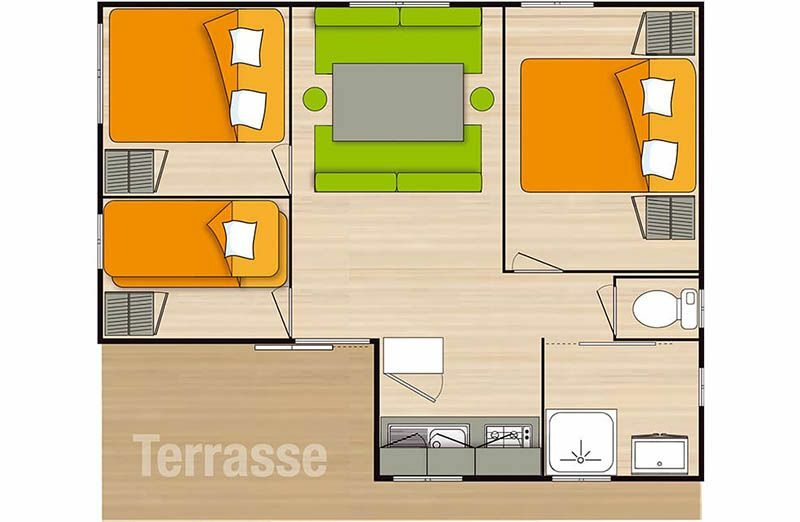 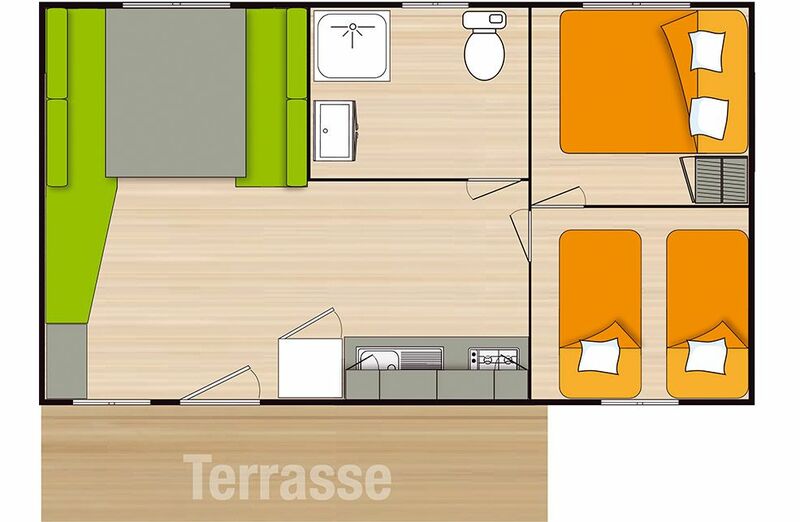 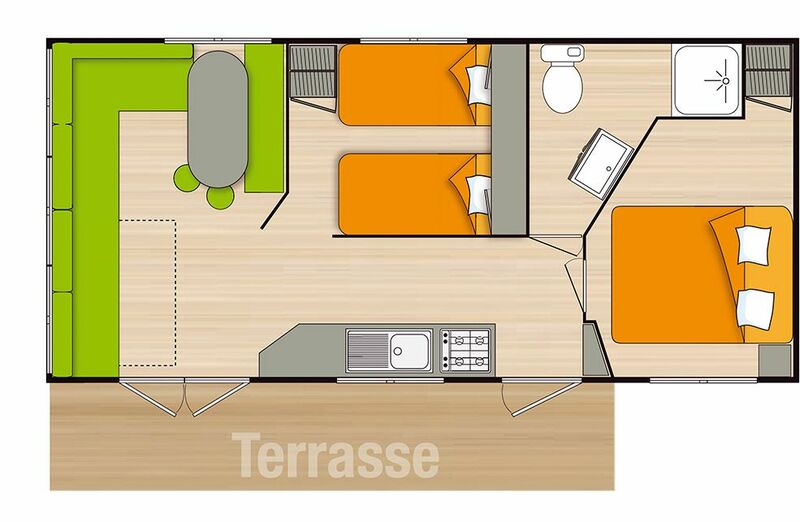 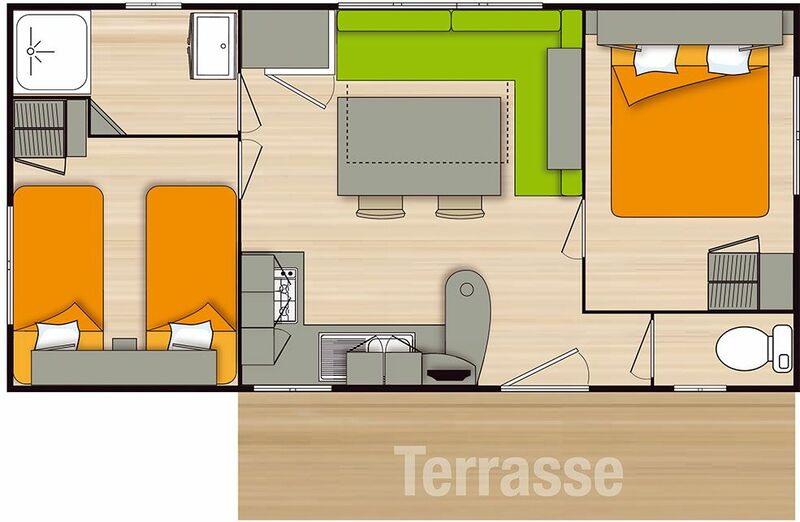 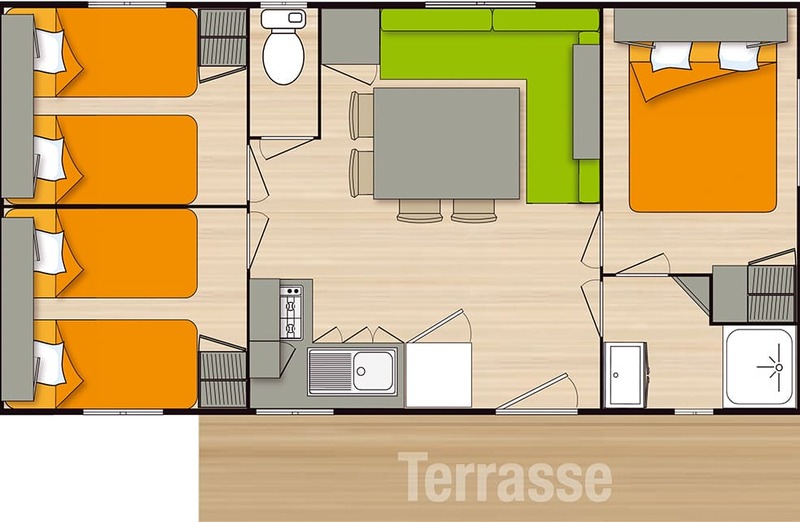 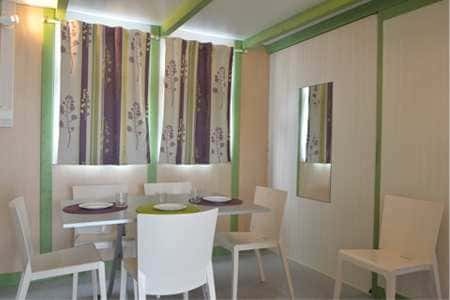 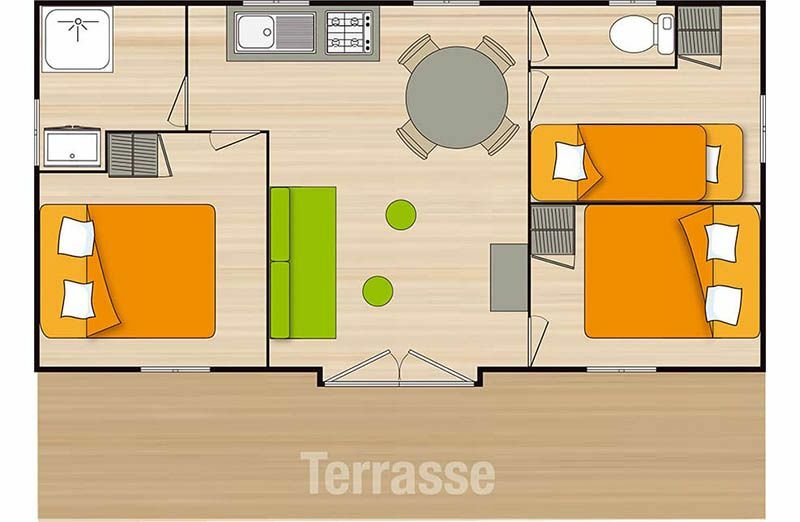 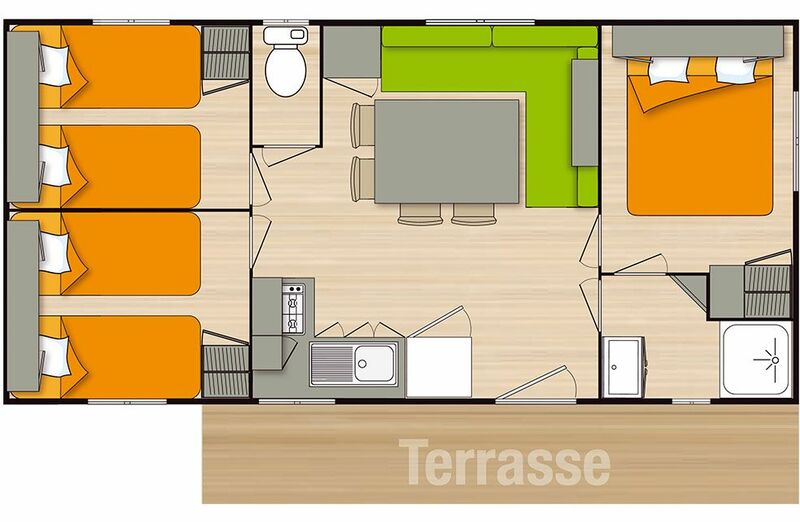 - check out plans and interior views clicking on blue arrows below. 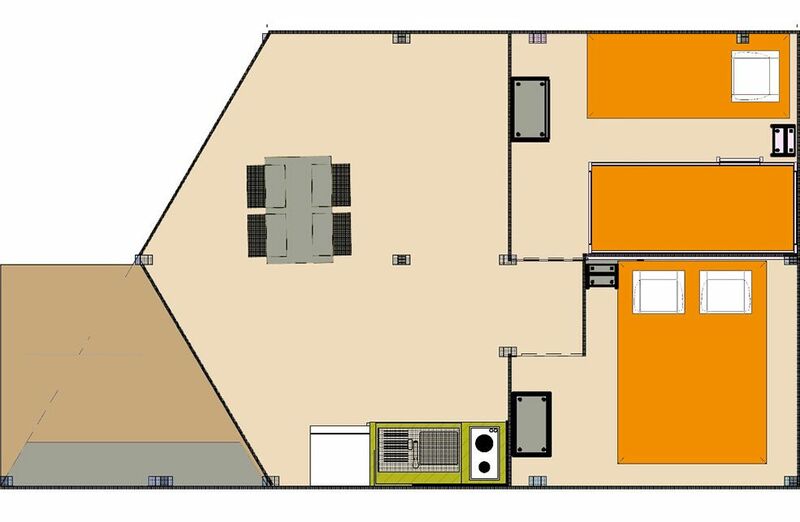 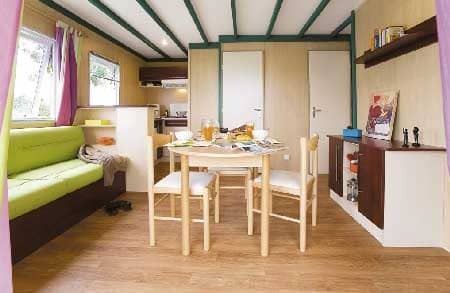 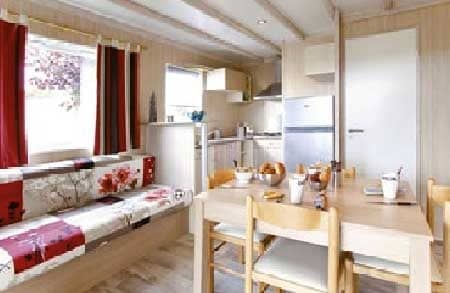 Note: only Ecolodge tent is not equipped with integrated sanitary, all other models are equipped with a bathroom + WC. 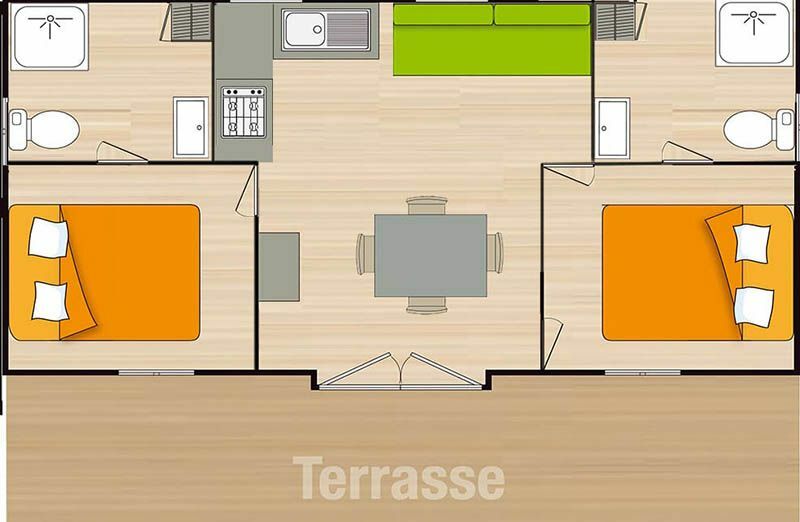 Forfait A : redevance journalière pour un emplacement, 1 véhicule, 2 persones, possibilité de branchement électrique.